Since its inception in 2002, The Bear Family Foundation has financially supported more than 50 area non profits. Each of the non profits help to serve the citizens of Northwest Florida. The non profits each hold a determination letter from the United States Internal Revenue Service that designates the organization as exempt from federal income tax under 501(c)(3). The organization has a determination letter from the United States Internal Revenue Service that designates the organization as exempt from federal income tax under section 501(c)(3). The organization is further defined as a private operating foundation under sections 4942(j)(3) and 509(a) because it devotes most of its resources to the active conduct of its exempt activities. Your organization has a determination letter from the United States Internal Revenue Service that designates the organization as exempt from federal income tax under section 501(c)(3). The organization is further defined as a publicly supported organization under section 509(a)(1), 509(a)(2), or 509(a)(3). Your organization has a determination letter from the United States Internal Revenue Service that designates the organization as exempt from federal income tax under section 501(c)(3). The organization is further defined as a private foundation (non-operating) under section 509(a), or a private foundation operating under sections 509(a) and 4942(j)(3). At times, the funds requested are part of a much larger fund drive. 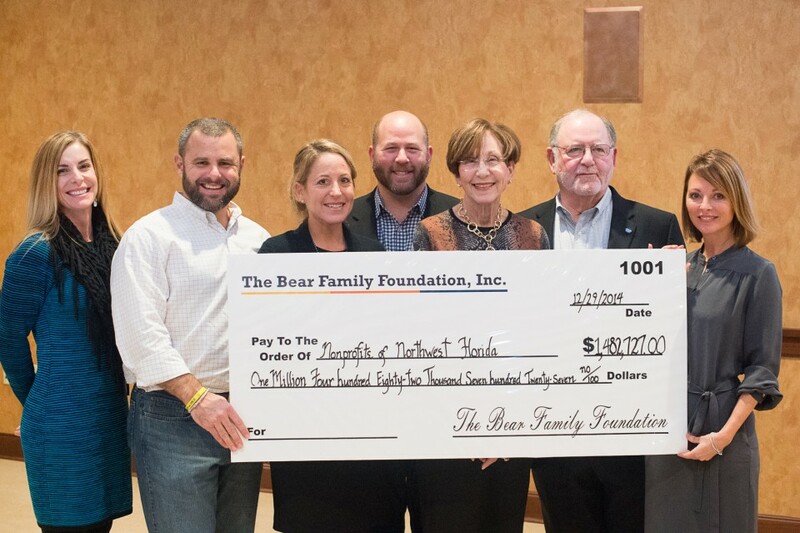 If the application is approved for a specific project within the organization, The Bear Family Foundation restricts the money to be used towards the success of the project being considered. Depending on purpose, the foundation may require a specific performance area for the funds.